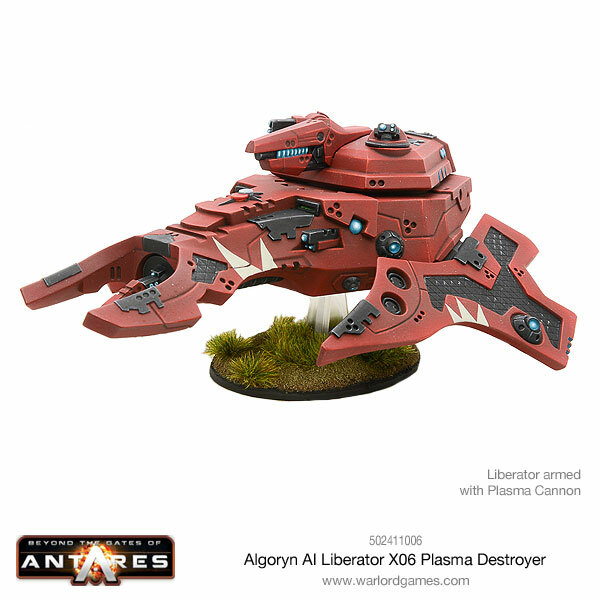 In advance of releasing the fully plastic Liberator later this year Warlord Games just couldn’t wait to let this beast into the open. 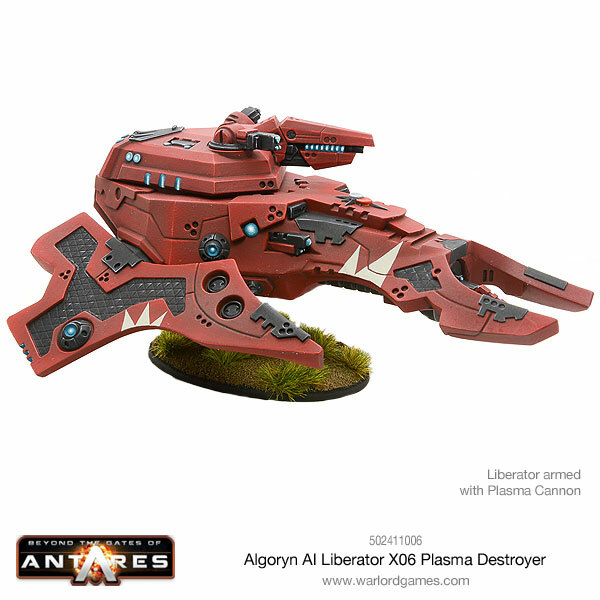 so we can now get a Mk1, awesome, resin and metal MOD 2 Algoryn Liberator: of course one of these beasts has been added to my growing pile of Algoryn. 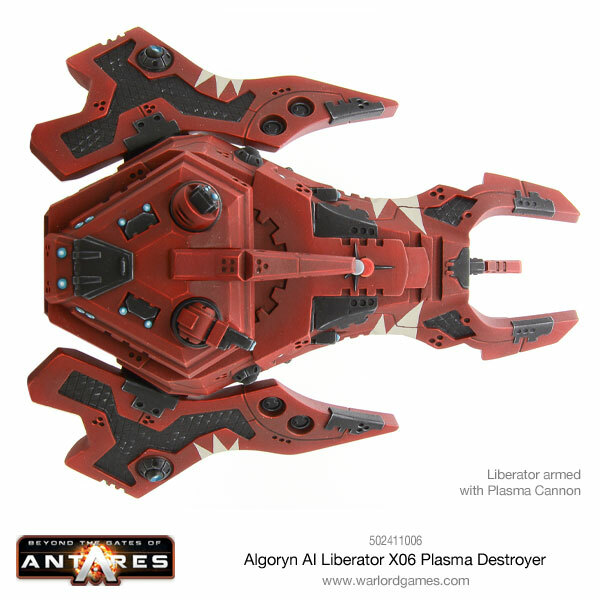 The Liberator is the standard combat skimmer to be found in the arsenal of the Algoryn Armoured Infantry forces. It has undergone numerous design improvements over many decades of service and has evolved into an efficient, effective and extremely reliable machine. It has a fully enclosed composite skin and crew positions for up to three operators who can control the Liberator at three levels: monitor level at which the machine operates itself, shard level at which the crew and machine operate as a single mental entity, and manual level in which the skimmer’s high functions are disabled leaving the crew in control. 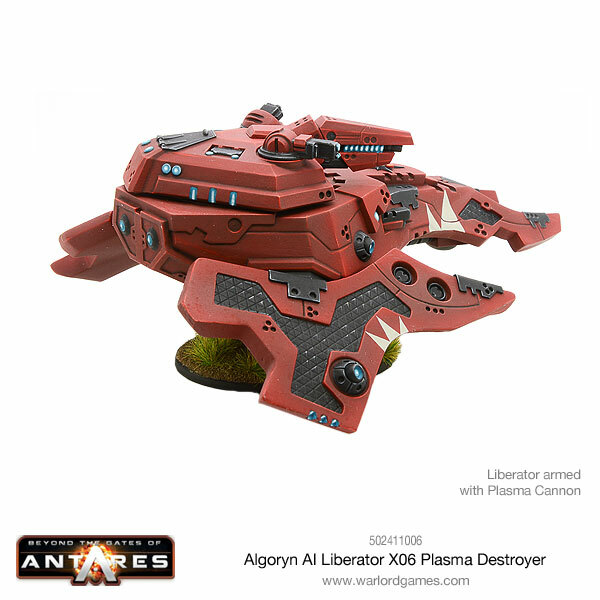 Although the Liberator can be controlled from any of its crew positions, if all crew should be incapacitated it can fight on as a drone. If its combat shard should be compromised it will take whatever measures are required to protect its crew. Armament: Two weapon points capable of carrying a variety of support armaments. Mag light support and mag cannon: X01 Hi‐Mag Mk IV. Protection: Composite skin + fixed emission hyperlight envelope with individual hyperlight cells for crew. Optional separate batter and/or shield drones. If the X06 isn’t enough for you Warlord have put together a bundle deal (parts are available separately) so enable you to build the other Liberator variants as well. I love resin vehicle kits and this one is no exception, there is just something pleasing about holding a big model and feeling the weight rather than picking up a model and sometimes it weighs less than a basic trooper though being ten times the size, the liberator comes in 9 pieces but is so simple to clean and put together, not taking very long at all to clean up and put together, some of the parts have injection ports still on them, where the resin is poured into the mould, but these are a quick fix to cut off and file down. Already mine has had its argument with the spray undercoat and is ready for some serious brush attention as I plan forward with my Algoryn Army! At Salute I got to speak to a few of the guys and whilst plastic tank and vehicle kits are going to be the norm these resin versions will be available as well for those who already have resin and want uniformity or just prefer them.